JMC Landwind offers looks, space, comfort and safety at a reasonable price. Apparently Faith Muthambi’s Department of Public Service and Administration recently conducted an extended and complicated fact-finding project that cost taxpayers millions. After engaging the services of hugely expensive Muthambi relatives, they came to an incredible conclusion. The findings showed without any doubt that: @ Three out of every four people in this country make up 75 percent of the population. Though the honourable Minister herself does not yet grasp the concept, the information will be spread among other government departments. That will enable them to demand huge cash handouts from Treasury, ensuring Brian Molefe-sized golden handshakes for bureaucrats when the ANC loses the 2019 elections. We know other undisputed facts. For one, this country’s largest organized crime syndicate is the government. For another, JMC Landwind vehicles offer amazing value for money, weighed up against other, comparable sports utility products. Their Landwind 5 AT Flagship model retails at R289 880 which, where I live, is a lot of money. But where SUV buyers live, that compares favourably with the prices of all other, similarly-sized sports utility offerings. And the Landwind’s reticent pricing does not – in most respects – make it a lesser vehicle. It comes powered by a transversely mounted, 1 997cc, four-cylinder petrol engine, enhanced by a intercooled turbocharger. That gives it 140kW of power at 5 500 rpm, plus 250Nm of torque, available between 2 800 rpm and 4 400 rpm. The new vehicle’s biggest bragging rights is its all-new eightspeed automatic transmission, which transfers the grunt and torque to the rear wheels. 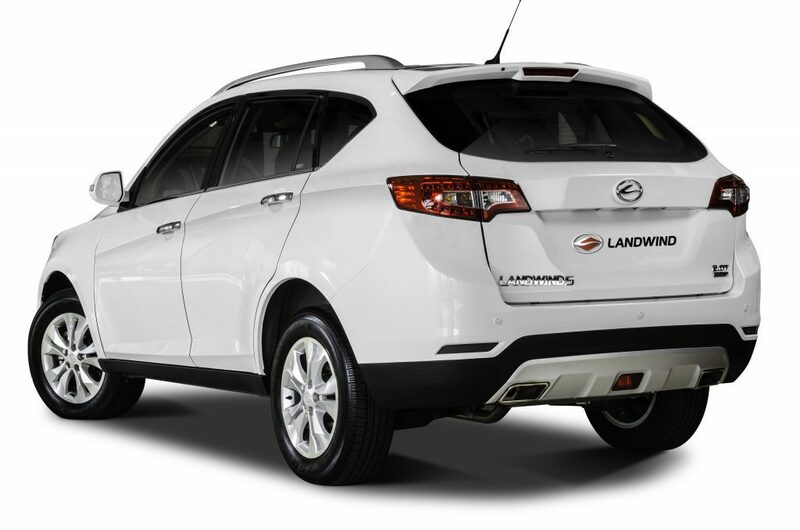 The Landwind is a sleek, handsome vehicle, sitting on 17-inch alloy wheels that cover disc brakes all round. 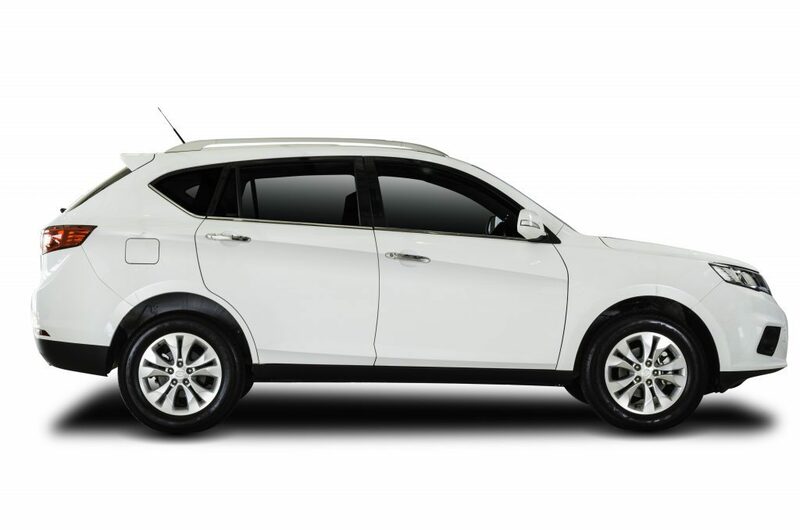 Adding to its good looks are folding side mirrors, silver roof rails, dual-pipe exhausts and an electrically operated sunroof. Inside, it offers just about everything that can click, bang or call Oprah live. This includes adjustable leather seats, a multi-function leather steering wheel, electrically operated windows and side mirrors, central locking, reading lights front and rear, map pockets, central floor storage and cup holders, a power outlet in the luggage compartment, a single disc CD player, MP3, plus a radio with six speakers and auxiliary ports. Making it easy to drive are things like its 5.3-metre turning radius, reversing camera and park distance control system. Taking care of safety are dual front and side airbags. The test vehicle was certainly no racer, but offered sprightly enough acceleration to stay with traffic. It displayed little body roll in corners, while its brakes worked efficiently.
. We did have two problems with the new eight-speed transmission system. Generally, it performed up-shift and down-shifts smoothly and without fuss. But it would, after being parked for a while, display symptoms of what we would in the past have called clutch slip, with the engine revving freely while waiting for the transmission to join activities. We do not have the technical knowledge to figure out the cause, and it only occurred when first setting off on a journey, but it did not inspire confidence. Secondly, while cruising on the highway on cruise control at 120 km/h at 2 000 rpm in eighth gear, the Landwind would discern an upward gradient change, g0 gear-hunting, and get back to 120 km/h in sixth gear. At such times, the body felt too heavy for the power plant, and one wondered if eight gears are not too many. But these are minor irritations in a vehicle that offers looks, space, comfort and safety at a very reasonable price. All the Landwind 5 vehicles come standard with a fiveyear/100 000 Km service plan, a three-year/ 100 000 km warranty and 24- hour roadside assistance.